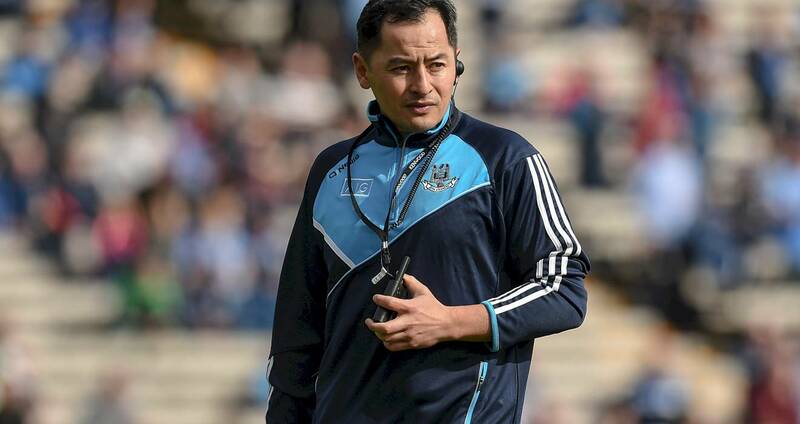 Dublin recovered from a slow start to eventually edge out hosts Offaly in Wedneday night’s Electric Ireland Leinster MFC Group 1 clash at O’Connor Park, Tullamore. It was two clinically taken second half goals that ultimately proved crucial in this well-contested battle with sub Seán Guiden’s introduction having a telling effect. Guiden scored Dublin’s first goal in the 54th minute to put the Dubs 1-8 to 0-8 up but he also slotted three pressure frees, two from outside 45 metres, to see his side to victory. 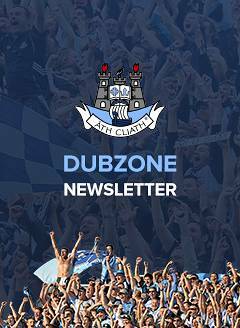 In the 59th minute Luke Swan’s goal sealed the deal as Dublin made it two wins from three starts in their group with two games remaining, the top two counties progress to the Leinster MFC semi-finals with the next two entering the Leinster MF Shield. Offaly, however, settled first and played effectively on the counter-attack to lead 0-4 to 0-1 after 17 minutes with the impressive Aaron Kellaghan (free), Jack Bryant, Ed Cullen and Seán Courtney on target for the Faithful County. Dublin’s sole score came from a free from the hard-working wing-back Mark Lavin in the 14th minute. But the interplay of Dublin, who are joint-managed by senior selector Jason Sherlock, improved in the last ten minutes of the opening half with half-backs Rory Dwyer and Mark Lavin driving their team on and they reeled off five unanswered points to take a 0-6 to 0-4 advantage into the interval. The pacey Malachy Codd ignited Dublin’s scoring rally with two fine points and Lavin converted a free from 45 metres to level it up in the 23rd minute. Points before half-time from Mark O’Leary, following good work by Lavin, Conor Hennessy and Conor Murray, and then a Murray point following more good team-work had the boys in blue two points clear by the break. Goal opportunities were at a premium but 16 minutes into the second half Dublin opened up the home defence but Lavin’s low drive was saved by Offaly keeper Seán O’Toole. Offaly points in the 51st and 53rd minute through Kellaghan and Courtney suggested the hosts might come with a winning surge but Dublin showed good mettle to raise their game over its conclusion. Guiden’s key goal arrived six minutes from time when Luke Swan battled in along the endline and passed across the face of goal from where Guiden appeared to finish in clinical soccer fashion to the net. Five minutes later Dublin again pierced the Offaly rearguard along the endline and Swan applied the finish with conviction. Guiden also stroked over two long-range frees from close to 50 metres to give his side a cushion with sub Seán Foran also getting in on the scoring act before the finish. SCORERS - Dublin: S Guiden 1-3 (0-3f), M Lavin 0-3 (0-3f), L Swan 1-0, M Codd 0-2, M O'Leary, C Murray, S Foran 0-1 each. Offaly: A Kellaghan 0-4 (0-1f), S Courtney, J Bryant (0-1f) 0-2 each, M Cunningham, E Cullen 0-1 each. DUBLIN: S Bohan; C O’Brien, A Fearon, A Rafter; R Dwyer, E Cashman, M Lavin; E Adamson, A Watson; M O’Leary, C Murray, M Codd; C Hennessy, L Swan, D Smith. Subs: J Bannon for Rafter (ht), S Guiden for Hennessy (38), S Foran for Codd (40), C McManus for Watson (44), M Grogan for Murray (45), L Dunne for Fearon (57). OFFALY: S O’Toole; A Brazil, K Dolan, B Nolan; E Cullen, R Egan, H Balsiger; C Donoghue, M Tynan; L Egan, S Courtney, M Cunningham; J Bryant, C Delaney, A Kellaghan. Subs: J Nolan for L Egan (25), P Bennett for Delaney (40), S McCloskey for Donoghue (50), L Pearsons for Courtney (57). Dublin’s Leinster MFC schedule is - Round 1: Dublin 3-15 Louth 1-7 (Monday, May 7); Round 2: Meath 1-13 Dublin 2-8 (Wednesday, May 23); Round 3: Offaly 0-10 Dublin 2-11 (Wednesday, May 30); Round 4: Dublin v Wicklow (Wednesday, June 27); Round 5: Westmeath v Dublin (Tuesday, July 3).